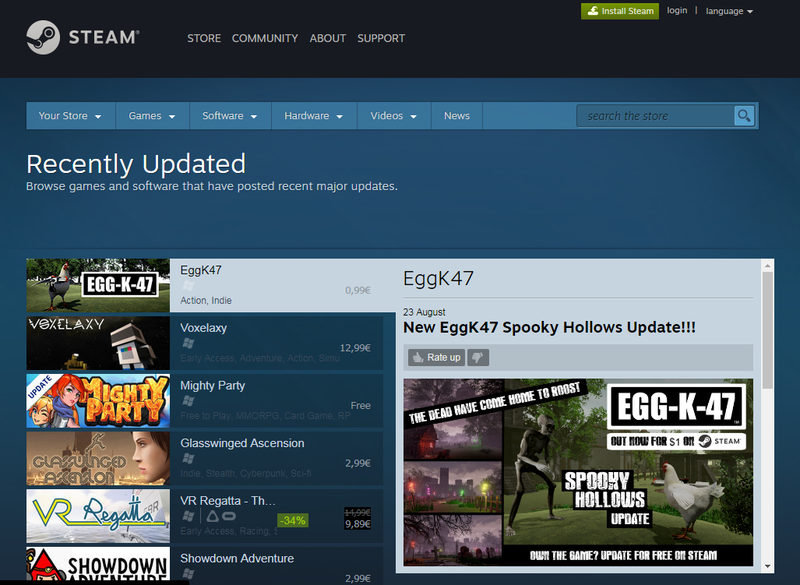 DOWNLOAD THE GAME ON STEAM! The undead have come home to roost!!! If crazed farmers and other earthly creatures weren’t enough to ruffle you feathers now the chicken is gonna have to deal with ZOMBIES hungry for some chicken meat!!! 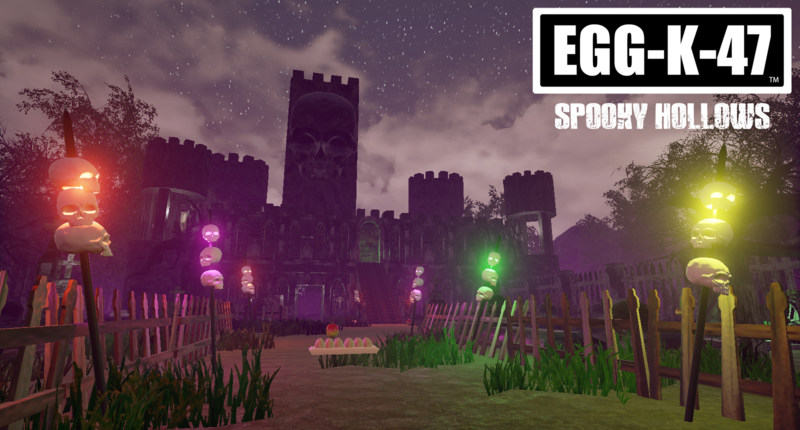 So update the game and fight your way back to the land of the living in this new EggK47 Content! 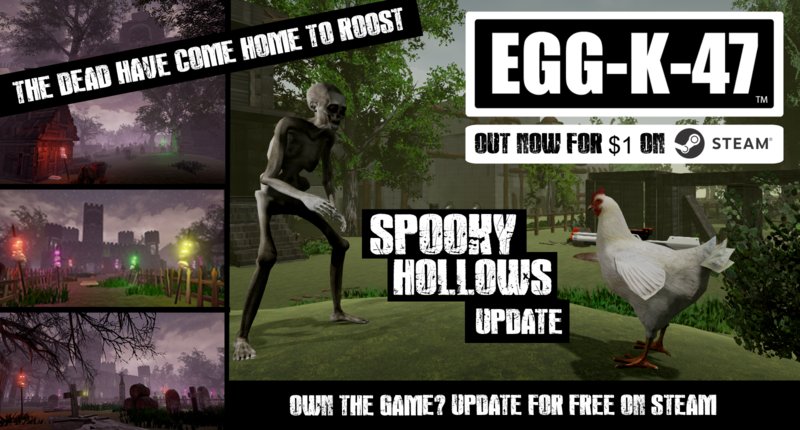 ← Previous Previous post: EggK47 IS OUT NOW ON STEAM!! !